Today we ate Korean barbecue in Japan. The eight of us met Rio in the cafe of Sakura Hotel— I wish I could say we were all on time, but unfortunately that was not the case. We still arrived at the restaurant with more than enough time to spare, though. We replaced our shoes with slippers and sat in two separate tables back to back. Since it was difficult to get in and out of the tables, the meal really was a task of teamwork, with people sitting on the outside helping others get food and drinks. We had an unofficial but intense competition on which table would eat more— I wish I could say my table won, but unfortunately I’m not sure if that was the case either. But I can safely say that all ten of us ended up full and satisfied. Brenda was completely in her element at Koreatown. 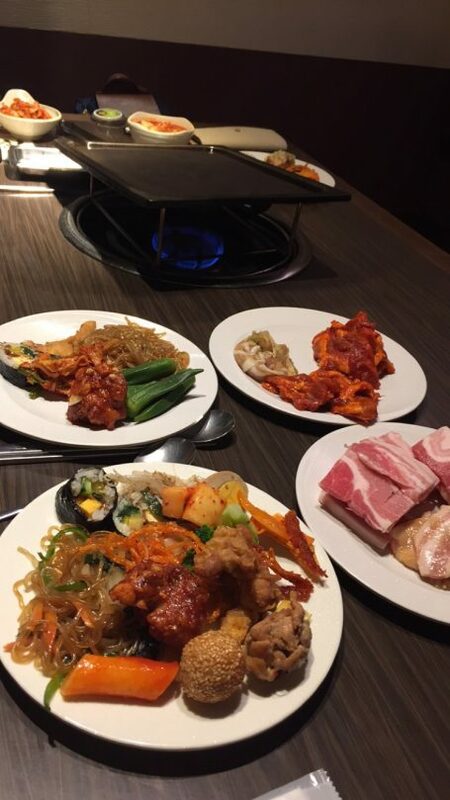 She really stepped up during Korean barbecue; she was helping Rio cook the meat and everything. After the meal, when we were walking around, she knew all of the songs that the restaurants and stores played and sang along in Korean. Watching her interact with Korean culture in Japan was super cool. After that, we made our way to Joseon in the heat and humidity. Joseon is a North Korean school where many fourth-generation Korean-Japanese students go to strengthen their Korean culture. 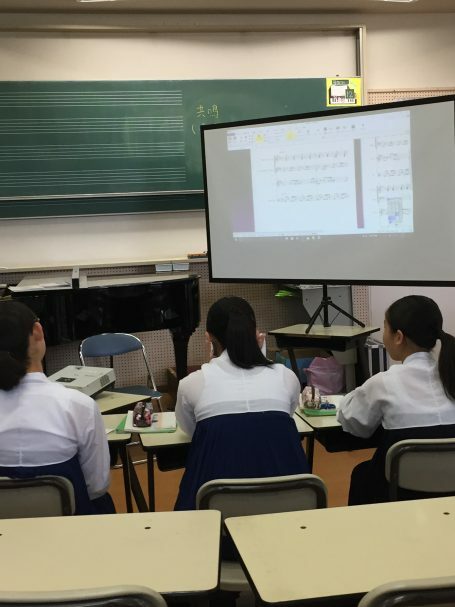 They learn the same subjects and follow the same standards as other Japanese schools, but also learn Korean history and Korean culture. We were warmly welcomed by the principal and other teachers, who took us on a tour of the school. All of the students were very studious and happy to see us. Then we had a Q&A session with a smaller group of students. Most of them mentioned that they wanted to attend a Korean university in Japan after high school. I found that very interesting, especially as an “ABC,” or American-born Chinese. I love the idea of a Chinese high school in America, where I could develop my connection to Chinese culture, and I would definitely want to attend one. But though I feel very Chinese, I also feel very American, and think that even if I did attend such a Chinese high school in America, that I would still want to attend an American university. But as there are no such schools in America, I can’t be sure. We spent the late afternoon eating doughnuts and exploring Ikebukuro, then rushed back to Sakura Hotel to make our meeting with the Meiji students. We were tired but excited to spend time with our new friends. Since it was Kayanne’s birthday, Lon Sensei brought her a cake and we all sang to her. By this meeting we’d all grown more familiar with each other, so we had even more fun and were even more productive with our research. Midway through the meeting, all of us decided to go out for ramen because none of us had had ramen in Japan yet. My team had either already eaten or had dinner waiting for them at home, so we ended up hanging out in a study lounge. Though I’m a little sad I missed out on the ramen, I’m more glad that I got to spend some time just relaxing with Nami, Tsukasa, and other Meiji students. Well, Wednesday was another great day in Tokyo. I wake up every day and go to sleep every day ridiculously happy to be here, and we’re not even at the halfway point of this trip. I can’t wait to see what other adventures await (and hopefully the crepe cake is among them).